The house is single. 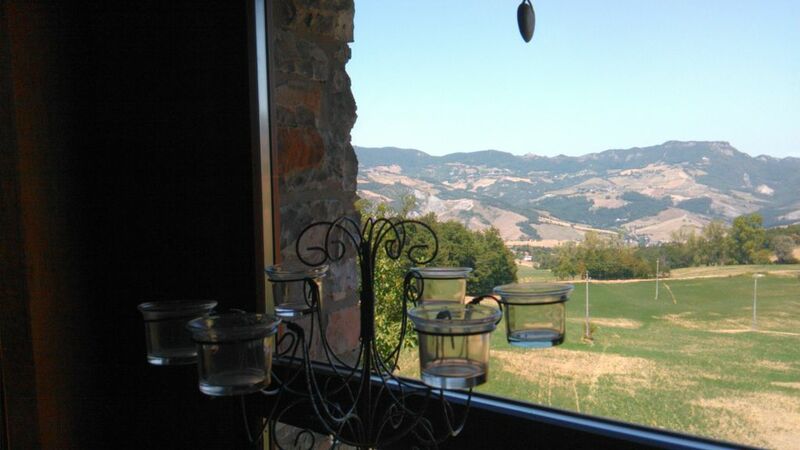 Inserted in a small village in the Appennino Reggiano of medieval origins. It has been recently renovated and has a large hall / entrance with kitchen and bathroom. You go up the stairs to the bedroom. In the hall you can get a single bed. Outside the garden and a large terrace from which you can admire the Matildico Castle of Carpineti. Ideal for outdoor lunches and dinners. Maximum peace and tranquility. Ideal place to regenerate and to rest. Reggio, Modena and Sassuolo reachable in less than an hour. Matildic castles area: Matilde di Canossa is considered one of the first Queens of Italy, she lived between 1046 and 1115. The castle of Canossa was the center of his empire and was, according to many, the most powerful woman of the Middle Ages. Popes passed by her (perhaps not only for political visits) and Emperor Henry IV even knelt in front of his castle for 3 whole days, in order to obtain the Pope's forgiveness with the intercession of Matilde. We are not here to tell the story and to praise it, but to close we must specify that in the Vatican, in the Basilica of San Pietro, only 3 women are buried. One is Queen Christina of Sweden, the other is Maria Clementina, Queen of England and the third is Matilde di Canossa. The Stone of Bismantova: This huge rock sung by Dante in the Divine Comedy remains in the heart of those who see it. In addition it is a climbers' paradise and for those who like to enjoy views from above. I would like to say that the summit of the Stone can be reached by everyone and not just by expert walkers. But beyond the less known dishes of the area, the area is famous for game, wild boar, pork and salami. All washed down with a good lambrusco, which will not be one of the most quoted and aging wines of our country but which nevertheless gives great satisfaction if drunk with rich dishes such as those offered in the Appennino Reggiano. In addition remember that we have in these areas the "Road of wines and flavors of the hills of Scandiano and Canossa", well marked and jumping from one hill to another. So ... between a visit to a castle and the other you can stop and taste typical products.